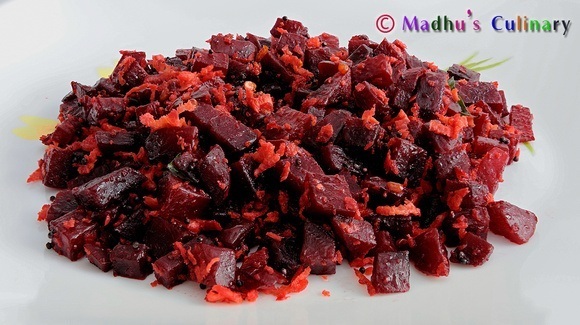 Beetroot Halwa ->Suvayo Suvai | Simple Vegetarian Recipes, Easy to prepare and healthy to eat! 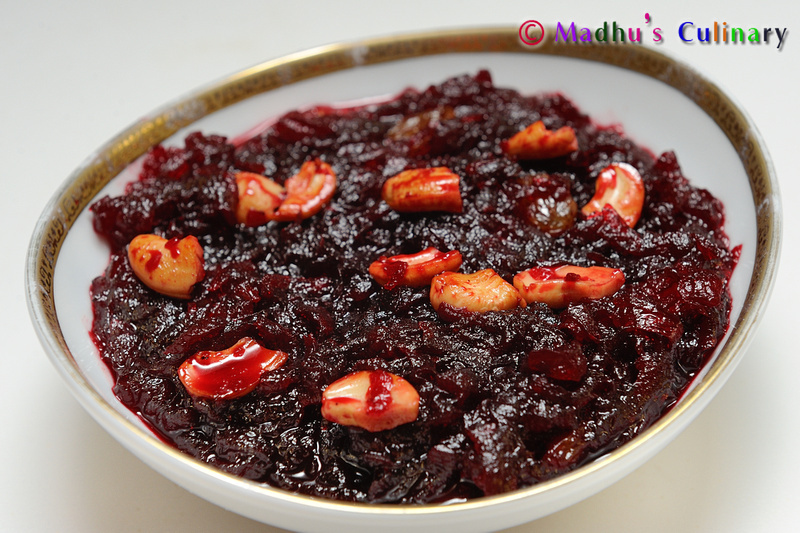 I wanted to always to post (and my childhood favorite from my Mother) the Beetroot Halwa recipe, but never did. Finally, found time to make and post the recipe. 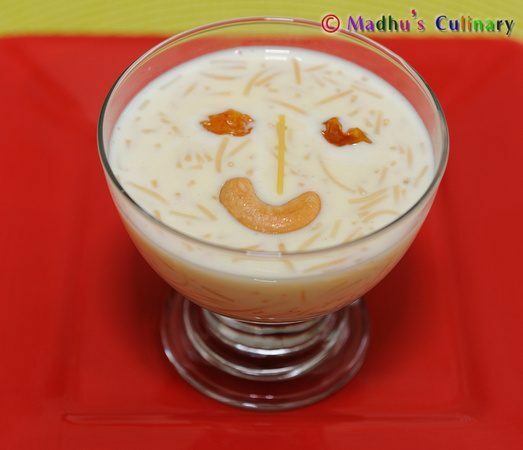 It also makes a sweet start to the new year 2016. 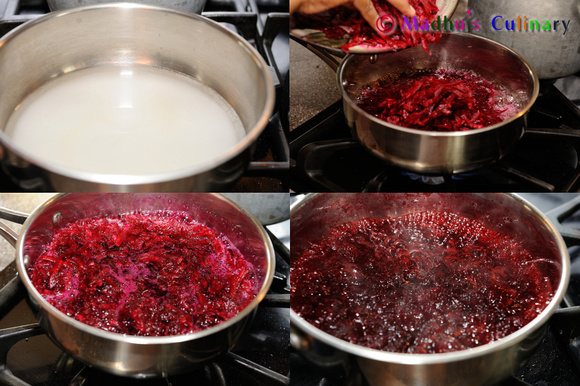 Peel the skin of the Beetroot and wash. Grate the Beetroot. Heat the Kadai and add Ghee. Fry the Cashew nut until it gets golden color. Keep it aside. Fry the raisins and the dates similarly. Take a heavy bottom pan and add the Sugar and enough water so as the sugar is covered. Let the sugar melt and bring it into boil. Add the grated Beetroot and mix it well. Let it cook until all the contents becomes thick. Cook it in the medium flame. It takes about 30 minutes. Add the fried items and Cardamom powder. Mix it well. Serve it warm. You can eat it with any Recipe. I love it with any Kuzhambu Rice. 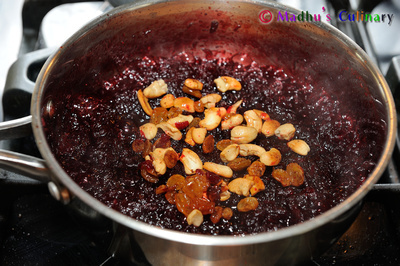 You can keep the Halwa until 1 week at room temperature. Do not close the vessel with lid when cooking to avoid overflow.